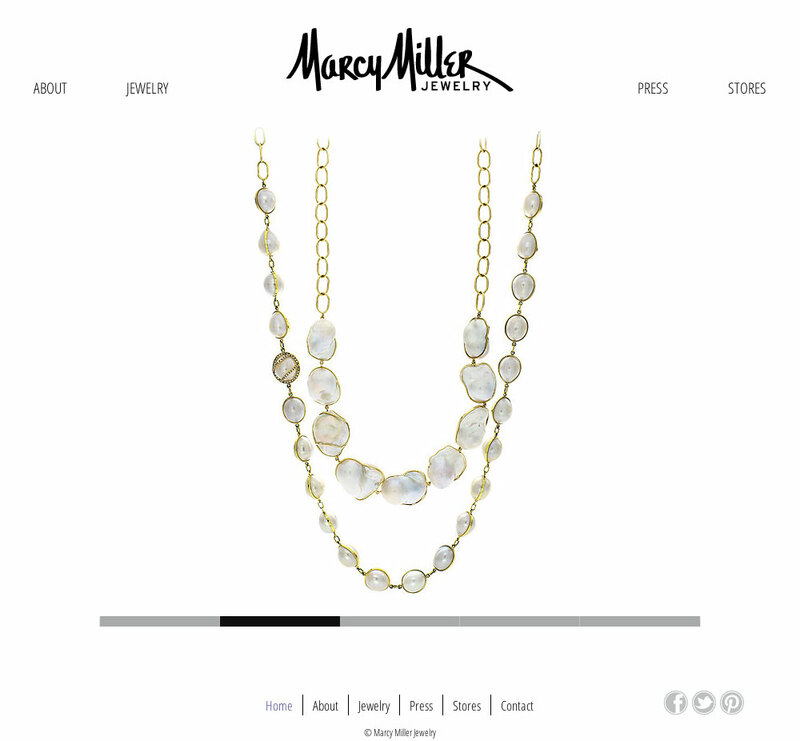 Discover unique, one-of-a-kind treasures on the new Marcy Miller Jewelry website. 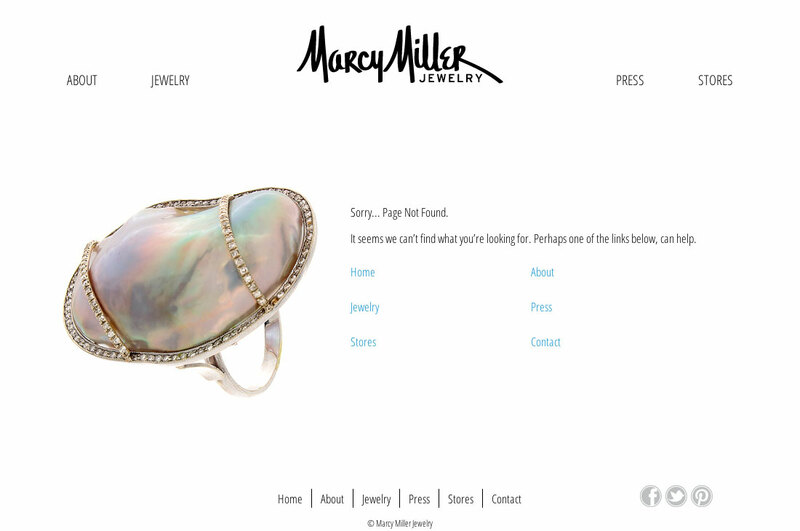 I was asked to quickly design a website for Marcy Miller Jewelry for the Las Vegas Jewelry Show. At the time, their website contained pages under construction and did not represent them very well to their high-end target market. I proposed a completely different approach to their brand – one that appears to be simple, yet sophisticated. Create an attractive and user friendly website that reflects the uniqueness of the jewelry. After conducting interviews with the stakeholders, I developed a list of goals, sites they liked and why, and a current content inventory. Based upon the information, I developed a simple graphical sitemap to show how the project would evolve. 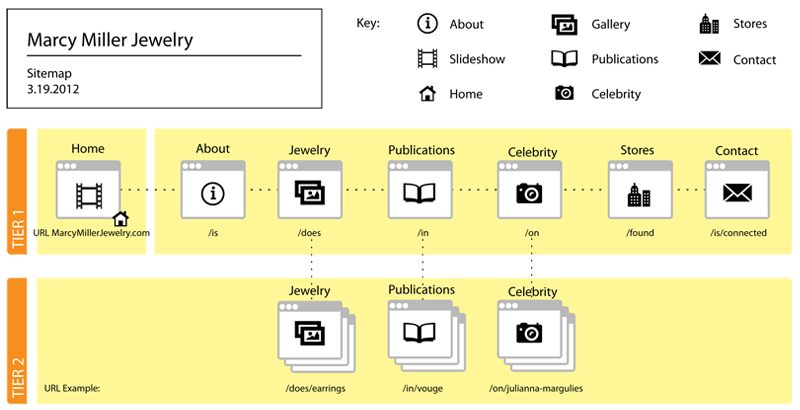 Wireframes were constructed in Balsamiq Mockups, while keeping in mind that the pages needed to be responsive. Abundant white space and allowing the photo gallery to bleed off the page made effective use of the limited space on mobile devices. 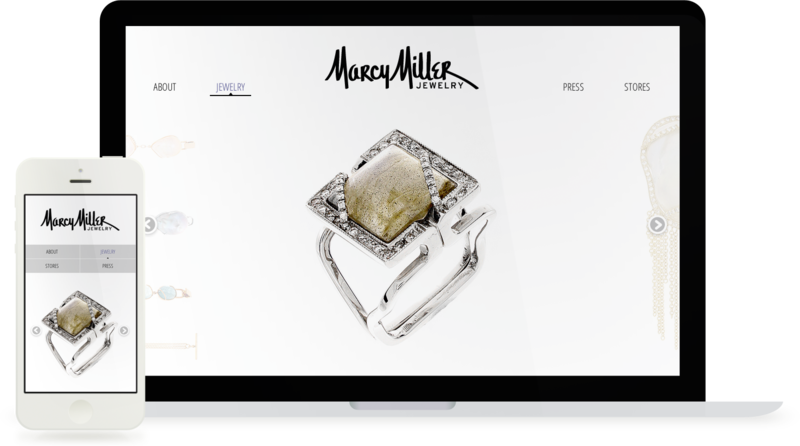 To meet the client’s deadline of having the website up in time for the Las Vegas Jewelry show, the project was completed in two phases. In phase one, a static HTML site was prototyped and used in the interim. After the dust settled from the event, phase two of the project began and the website was converted into a custom WordPress theme.